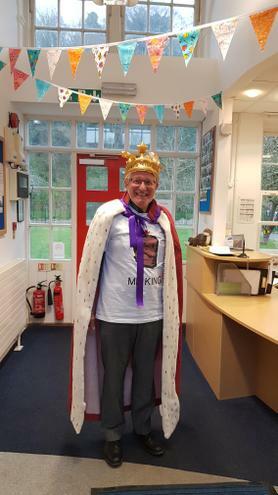 Thank you to everyone that made this a really special day for Mr King. 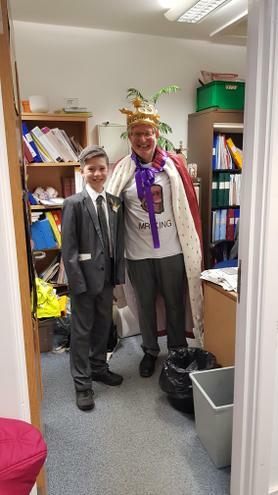 The day started with Mr King being speechless as he arrived in school today and found his Mr King outfit ready for him to wear. 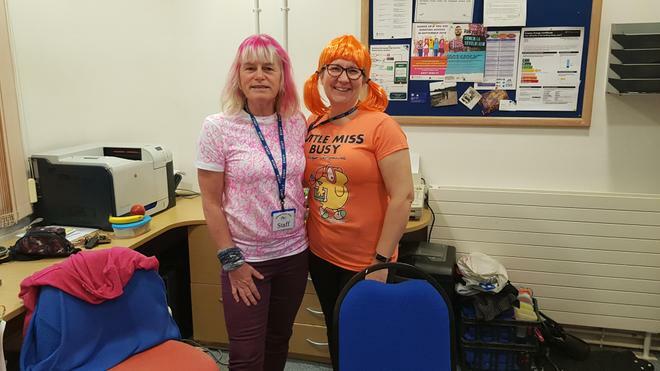 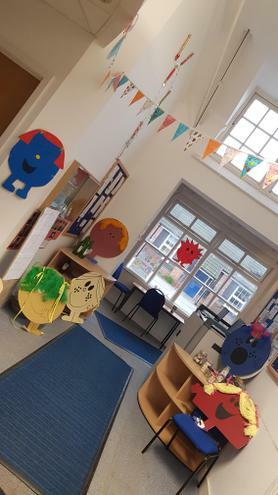 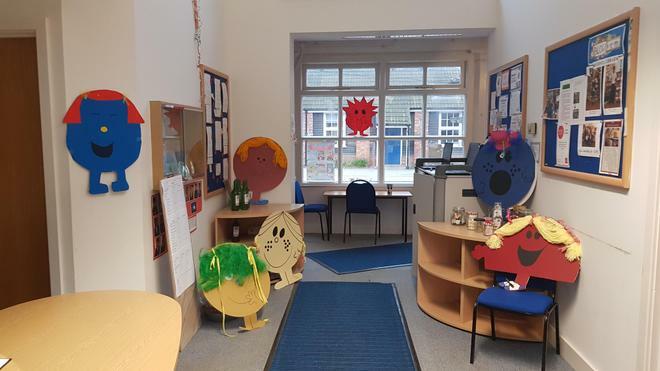 The staff had been busy decorating the school with Mr and Mrs Men and bunting!. 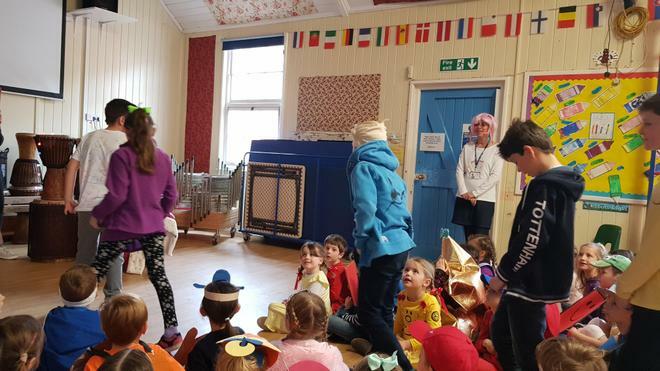 Then the gorgeous little Misses and Mrs starting arriving. 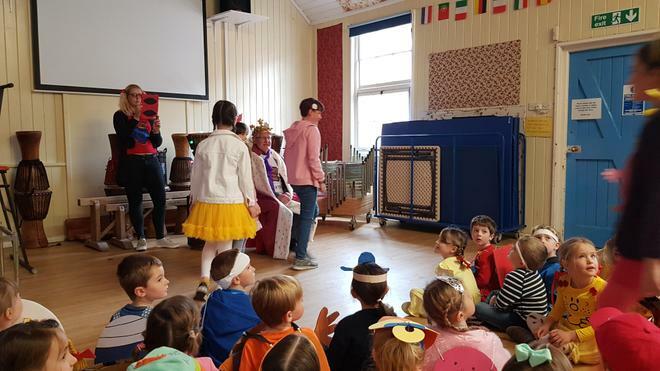 Thank you to all the parents for the lovely customes and to all the children for keeping the Top Secret. 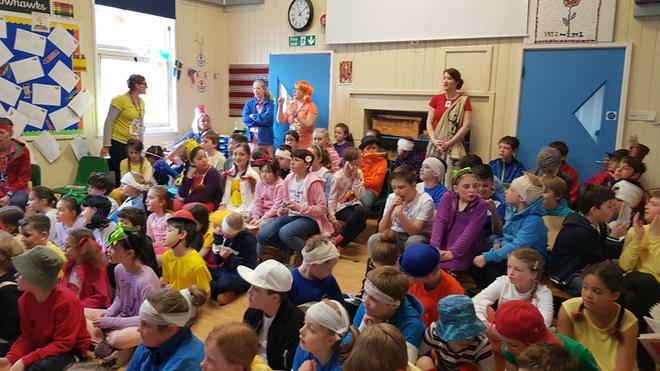 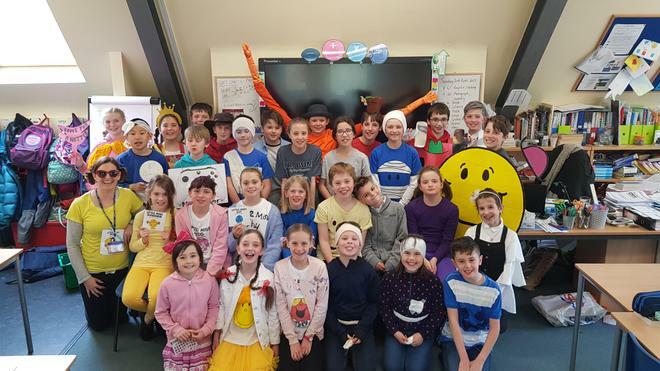 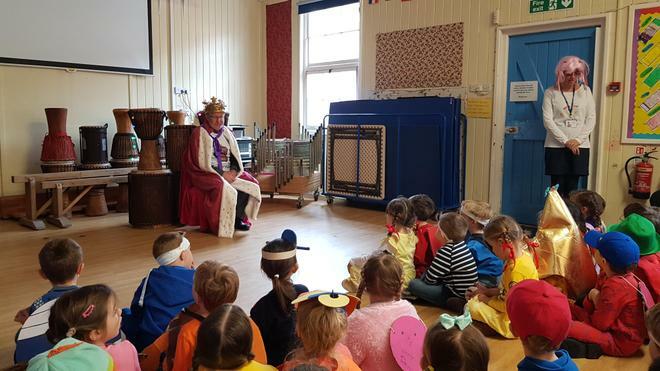 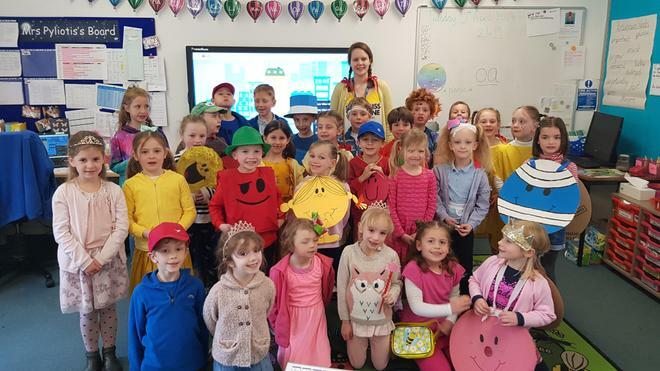 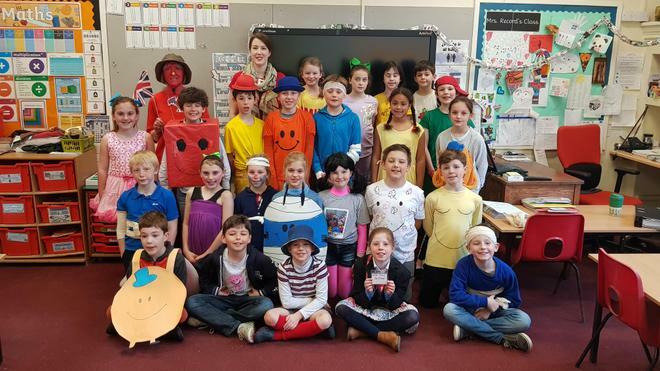 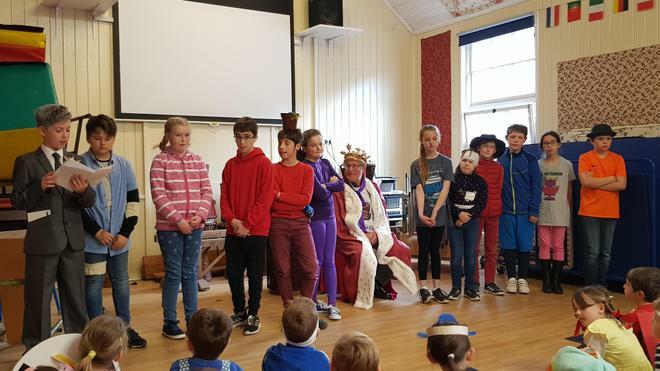 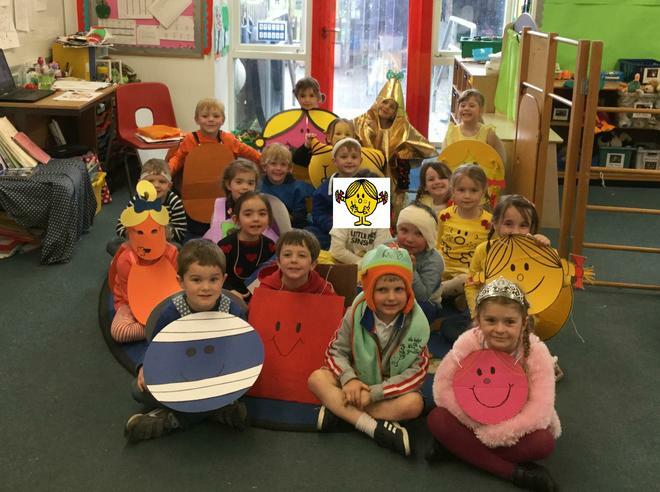 We had a whole school picture taken and a Mr Men assembly, where the children joined the catwalk and displayed their outfits to the whole school and to Mr King. 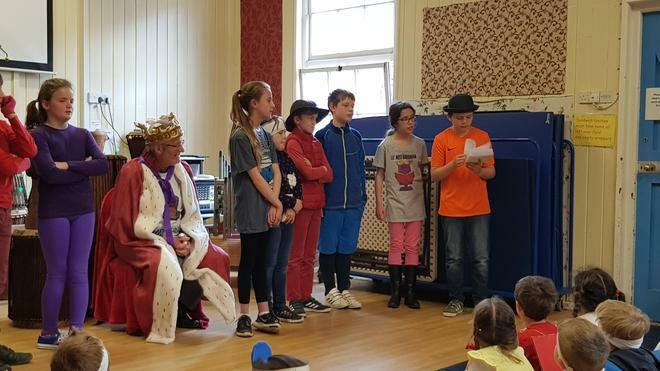 The children read a Mr King story, written by our very own Miss Clever, Mrs Hill. 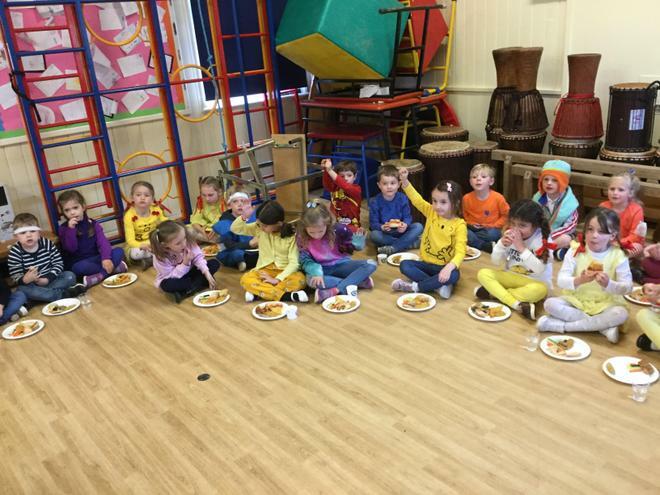 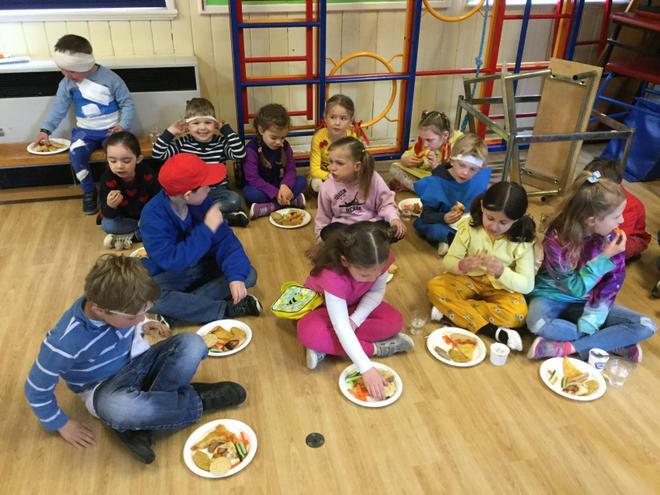 The children are now having a Mr Men lunch , especially provided by our amazing school cooks. 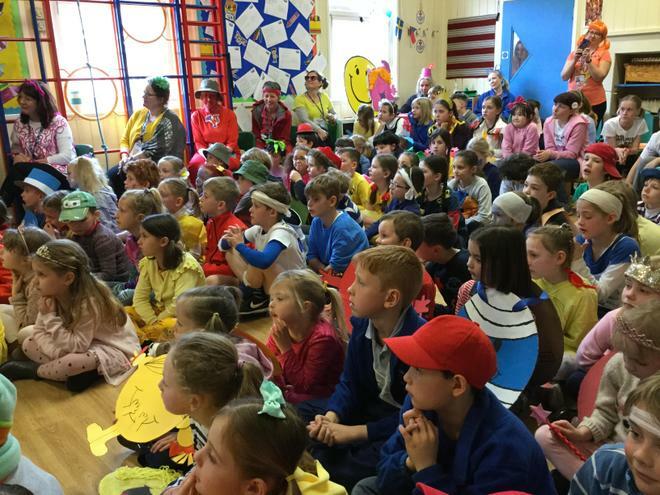 It has been amazing to see how much team effort has gone into making this a very memorable day to us all.